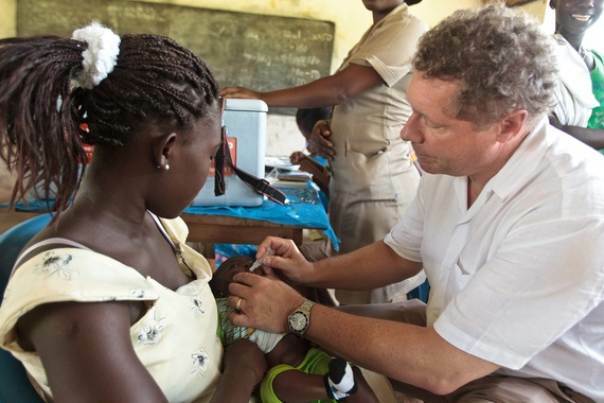 Dr Seth Berkley, @Gaviseth is an epidemiologist and the CEO of Gavi, the Vaccine Alliance. Siddharth Chatterjee, @sidchat1 is the UNFPA Representative to Kenya. NAIROBI, Kenya, May 5 2016 (IPS) - Any views expressed in this article are those of the author and not of Thomson Reuters Foundation. When Pope Francis recently endorsed the use of individual conscience in deciding whether to use contraceptives in view of the spread of the Zika virus, it was not just a landmark moment but it underscored the need for faith leaders to get involved more closely in contemporary health challenges. In Northern Nigeria, a former global epicenter of polio transmission, Islamic clerics, who were once opposed to immunization, turned into advocates for vaccination. As a result Nigeria, one of the three remaining countries where polio is still considered endemic, has for the first time been polio-free for 18 months, a development that brings us significantly closer to eradicating this terrible disease. A profound realization has lately emerged among health professionals about how well-equipped health systems alone cannot solve today’s public health challenges. Stemming from various highly complex causes, these problems can never be solved by a single approach, but by an array of stakeholders working at a number of long-term solutions. Today’s health problems trigger a host of family, economic and social problems that ruin lives and weaken communities. More than ever before, there is a need for a knitting together of multiple partners, to choreograph what are often distrusting stakeholders to deliver cohesive responses to the challenges. Religious leaders, so often driven by a profound and fundamental sense of mission, can and should be far more directly part of global and local responses to critical problems. Nowhere is their passion for seeking the common good more needed than in the drive for empowerment of girls and women, the group that is invariably most affected by lack of access to health services, and whose wholesome health is so central to survival of entire families. In Kenya, as in many African societies, access to health by women is largely determined by cultures and tradition, which in turn are closely tied to religious beliefs. Unfortunately, these traditions often tend to be driven by entrenched patriarchy, assigning the women an ancillary place and little say in their destiny. Passion and compassion for those who suffer are key pillars of most faiths, and this is why leaders of religion are well-placed to accelerate the quest for gender equality and empowerment. Giving girls and women the wherewithal to play their full part in a country’s development is not just a moral imperative, but the only sustainable approach. The first step is educating them and giving them the freedom to determine when to marry and how many children to have. A juxtaposition of culture and misplaced religious biases has for eons given men absolute control over women’s bodies. Female genital mutilation and early marriage are just two examples; evil manifestations of a society determined to control women. The consequences do not just affect women, but entire nations. For instance, in much of sub-Saharan Africa, birth rates are too high for families to save or invest for the future. In Kenya according to the latest Kenya Demographic and Health Survey (KDHS), the average woman in Kenya bears 3.9 children, and in some regions, women such as North Eastern Kenya, total fertility rate is 7.5. National averages of such indicators often substantially mask the disparities between socio-demographic groups and regions within the country. The high birth rates are invariably in areas where religious teachings take a key role in every day decisions. There is therefore the opportunity to underline faith values such as matching family size with economic resources. It is in such hard-to-reach areas in Kenya that the Ministry of Health and United Nations Population Fund (UNFPA) along with its partners are working with religious leaders to bring positivity and hope into the lives of communities, to put them in good stead to play a full role in development. The faith leaders are being engaged in dispelling misconceptions about the religious basis for harmful practices, and re-emphasizing messages about the dignity of women. Another important area is cervical cancer, which currently claims the lives of 266,000 women every year, nearly as many as childbirth, with the vast majority in developing countries. Pre-adolescent girls can be protected for a lifetime from the main causes of this terrible disease through the human papillomavirus (HPV) vaccine, which Gavi is now helping to make available in some of the world’s poorest countries, often through vaccination activities in schools. However, given that school attendance can sometimes be low for girls in many poor communities we need to find ways to reach these girls. Religious leaders can help, by raising awareness about the benefits of the HPV vaccine as well as the importance of educating girls. All these messages will result in girls staying longer in school, in abandonment of FGM and early marriage, in fewer women being struck down by cancer and in uptake of healthy choices such as child spacing. These are the messages that will enable all of Africa to harness the demographic dividend as decreases in fertility combine with socio economic policies that enable investments for the youth and ensure less dependent populations. Religious organizations have not only been moral pillars in the community, but they have also led in providing access to education and health for the marginalized. Now is the time for them to lead the drive towards demolishing harmful, man-made traditions and cultures.